There’s no way of knowing just what the talks between Chinese President Xi Jinping and American President Donald Trump in the past couple of days will produce in terms of the China-US strategic relationship—whether they’ll lean more towards competition or collaboration in the coming months and beyond. But citizens and officials in China know that Xi was in charge of those talks. All they need do is look at the pictures about the summit run by the State media. 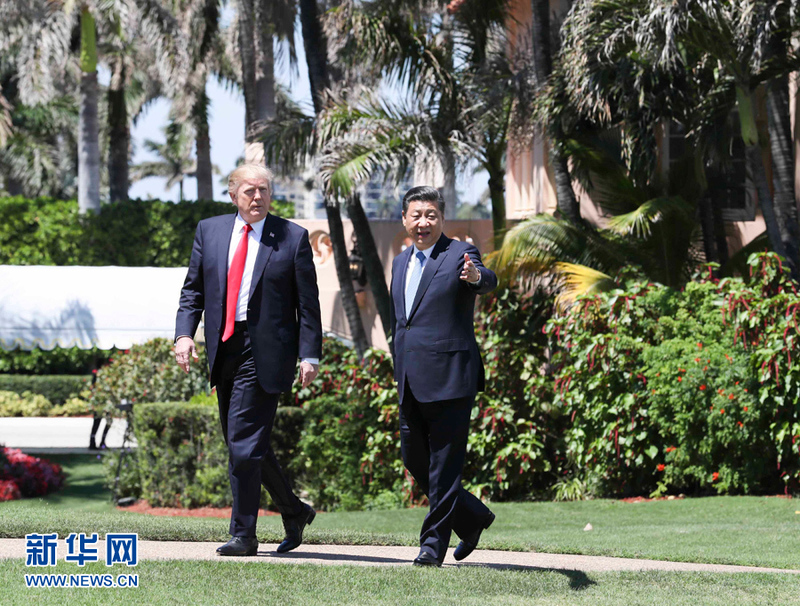 The photo run on the front page of Nanjing Daily on Saturday—and that of every other newspaper in Jiangsu and other provinces--shows Trump The Avid Listener, as Xi expounds and explains something that needs to be heard. Readers don't need to know what Xi’s actual subject is, because it doesn't matter: what’s important is that Xi is imparting, “issuing important instructions” (重要指示 in the Chinese political lexicon), explaining to his American counterpart what’s going on. Nothing in China is ever a conference between equals: Everything is a seminar in which someone with more power and insight provides an “objective understanding” [客观理解] which the listener—the lower official, the foreigner, the recipient of such wisdom—is seen as respecting and responding to. Chinese politics and society works that way: It’s about patrons, patronage, and it’s almost always patronizing when it comes to relationships because in China everything is unequal in some important way. When Chinese leaders speak of partnerships, they really mean submitting to hierarchy. Someone wise has to be in charge, lest things fall apart. One sees this sort of behavior from officials often here in China. 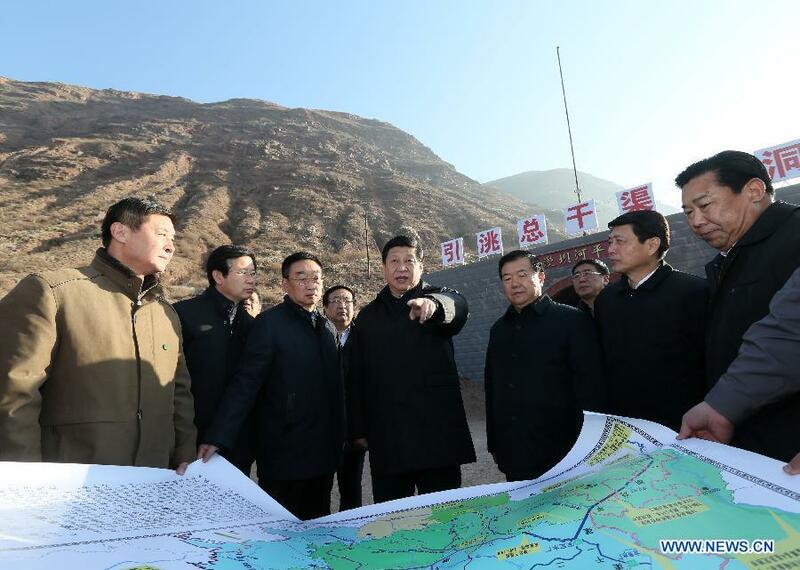 Whether it’s during inspection trips to a province or at a time of local crisis, leaders in China lead by looking like leaders, and to look that way means being seen telling others what to do. It’s not dialogue so much as direction. And this is Trump being directed—being led--by Xi. Once Trump hears that Xi has to say, he’ll understand and go along, because that’s the only way to get along. 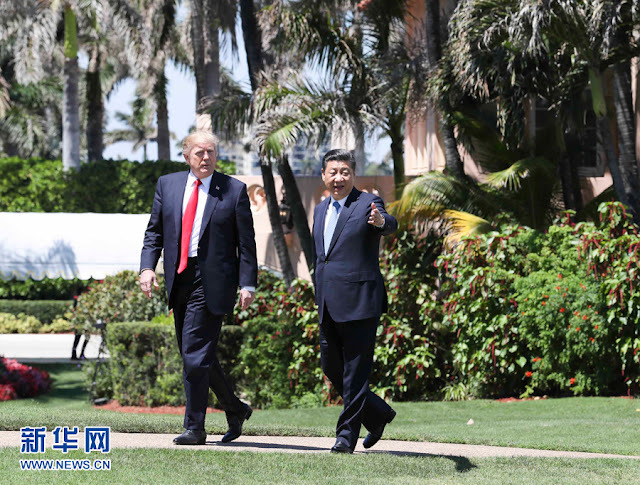 Speaking of direction, Chinese readers received more of the same on Sunday when Chinese State media, particularly the party newspapers, ran a second major photo of Xi and Trump. This photo is the more extraordinary of the two. Here is Xi, a visitor to Trump’s estate, guiding the American President as a guest, showing him something, rather than the other way around. Xi’s pointing—or at least gesturing—and getting Trump to look where Xi wants him to look. Trump's moving in one direction and Xi is presented as signalling him to move in a different one. It’s Trump paying attention and therefore being portrayed as at least acquiescent. Chinese leaders can do that sort of thing. 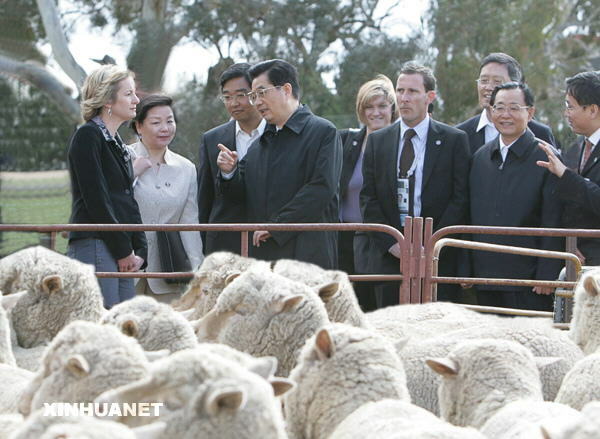 On one memorable occasion, in 2007, then-President Hu Jintao, on a trip to Australia, visited an agricultural station in Canberra and was portrayed in State media (including the front page of People’s Daily, the Party’s flagship newspaper) as pointing out something or another. More than a few readers saw Hu’s gestures as the usual imparting of insights and suggestions from the Person In Charge—even if there wasn’t a lot of evidence that his audience of agricultural experts and practitioners would actually benefit from the comments of a former geologist (though they may well have, given Hu’s work in dry climates). It was the gesture that mattered—the Chinese leader as lecturer. Here in China, readers, watchers, and listeners are being told that Xi in charge of the Beijing-Washington relationship, and that he is tutoring Trump. That’s what Chinese citizens are meant to see from photos, and what Chinese local officials here also grasp. That message is both understandable and crucial for readers and residents here. It’s understandable because Xi is so much more savvy and experienced than Trump when it comes to navigating and negotiating politics. Xi had to deal with the soil, and he knew hardship. Trump dealt with deals, and focused on skyscrapers; it’s difficult to discover anything in Trump's past that involved personal struggle. 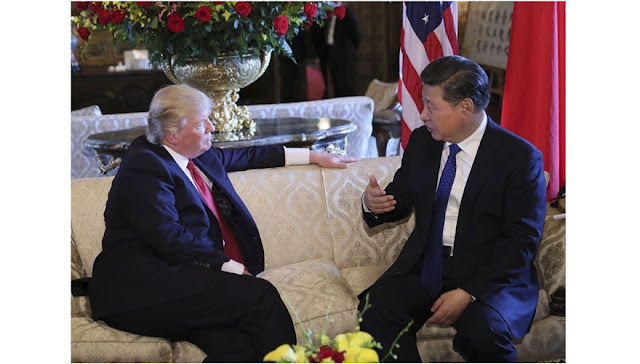 Xi has political training, spent time in the military establishment, ran government offices, and has surmounted all sorts of challenges--experiences that are foreign to Trump in so many ways. Xi does in fact have a lot to teach Trump. And it’s crucial because Trump continues to make many people here anxious, if only because China’s political system and society isn’t built for the unpredictable and that's precisely what Trump is. But now the domestic audience here in China, in the Beijing-Shanghai Beltway and beyond, is being told not to worry, that Xi’s in charge of the relationship, as he's in command at home. 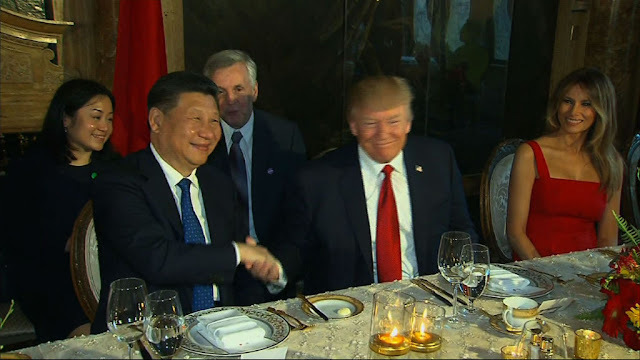 Just by looking at Xi’s hands, they can see who’s handling whom. There will be some observers who may find these observations as the sort of Pekingology that relies on reading tea-leaves. Usually those criticisms come from people who don’t survey the Chinese language media, or don't bother to try to see matters as audiences in China see them. It's not easy, but few things in analysing China are.